By the end of December 1985, eleven of the seventeen scientist-astronauts selected by NASA in 1965 and 1967 had flown in space at least once, and four had made a second flight. Harrison Schmitt was the only one of the seventeen to make it to the Moon, while Kerwin, Garriott and Gibson flew long-duration missions on Skylab. The remainder reached orbit on the Space Shuttle. 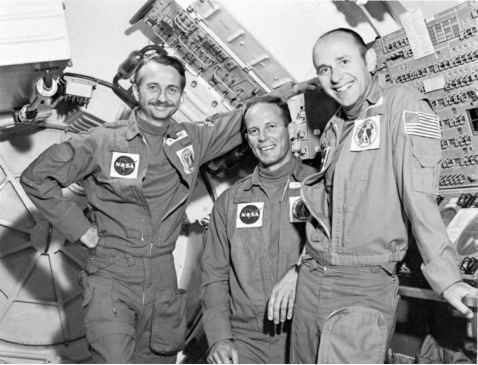 Indeed, Garriott's second mission was aboard the Shuttle, on the first Spacelab mission in 1983, and in 1985 he was assigned to a third mission, manifested for 1986. Of the 1967 intake, Allen, Musgrave and Thornton had all flown twice and Parker was scheduled to make his second flight in early 1986. England, Henize, and Lenoir had made one flight each. The remaining six had resigned from the programme between 1965 and 1973, when the prospect of making even one flight into space looked very remote. Of those who had stayed the course and made it to space, most now wanted a second or third bite at the cherry, while others, having achieved their dream as an astronaut, had decided it was time to move on to other goals and careers, particularly as their chances of a return to space looked slim. Then, on 28 January 1986, the loss of Challenger and her seven astronauts brought home the dangers and risks of space flight to the Americans. The future of the scientist-astronauts, the Shuttle, the astronaut corps and even of NASA itself looked in doubt.